Whirlwind of Surprises: Have you found the secrets in #Disney #Pixar's #Brave? If GFC isn't working below, click here to follow. Have you found the secrets in #Disney #Pixar's #Brave? I vaguely remember something about this a long time ago. It completely slipped my mind how much I enjoy challenges like this until I was sent a little reminder. My fellow Disney Pixar fans, do you know about this? Do you search for the "Hidden Gems" that the filmmakers put into each of their films. 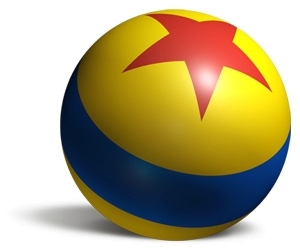 For example, in WALL•E’s, his explorations led him to find a Mike Wazowski (Monsters, Inc.) antenna ball and in Up, you can see the classic Luxo Jr. ball in the girl’s bedroom as Carl Fredricksen’s house flies by her window. So, there are these types of hidden gems in Brave as well. Have you spotted any? We're goign to reveal two of them here! 1) ANCIENT DELIVERY – Did you notice the carved figurine of the infamous Pizza Planet truck? This truck has appeared in almost every full-length feature film from Pixar Animation Studios since Toy Story in 1995. The funny thing is, I remember seeing this, but I had no idea it was so iconic. I'm definitely going to be looking for this from now on! 2) NO MONSTERS IN THE CLOSET – We all know Monsters, Inc is coming back as Monsters University in 2013 but Disney Pixar seems to be slipping us hints in Brave! Did you notice the carving of Sulley in the Witch's home? I did! Woohoo, I spotted one. Yay! Did you spot these two hidden secrets? Or how about any of the other hidden gems? I'd love to hear what other things you spotted during the movie. If you haven't seen Brave yet, go, it's already in theaters and I loved it! It'd be a great family movie to watch this Independence Day...*hint hint* LOL, have a safe and happy Independence Day, my friends! I'm always oblivious to things like this! Now I'm going to look for them. I didn't notice these when I seen the movie but now I want to watch it again to look for them. I'd love to hear your thoughts! From the Big Apple to Minneapolis, Cinny is the mommy to JR and Baby Pom. When not working or studying full time, she can be found working on WOS or cuddling with her hubby and playing with her dogs. She is the also the aunt of 3 little nephews. Want to work with WOS? Email me today at whirlwindofsurprises(at)yahoo(dot)ca. In the meantime, check out our PR Friendly media kit. Ultimate #WreckItRalph fan? Put it to the test with this quiz! Visit Cinny's profile on Pinterest. Top Secret -leave me your email in the comment section and I will see to it that an invitation gets sent to you. WOS has an online #Marketplace! #Reminders and more! 4 #Sweepstakes ending today!